Stephanie Cook handles a wide variety of litigation matters including probate and trust litigation, fiduciary litigation, and contested guardianship cases. 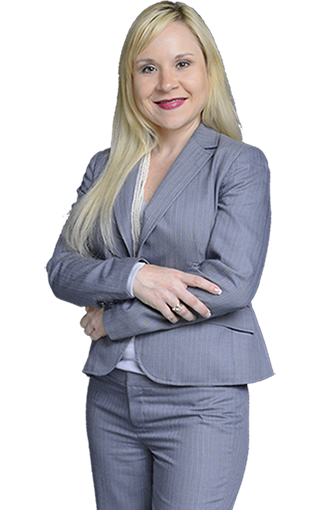 She was named a Thomas Reuters Super Lawyers Rising Star in 2015 by a selection process that rates attorneys based upon a comprehensive three-part review process and is limited to no more than five percent of Florida’s attorneys. She was also named as an “Up and Comer” in Florida Trend Magazine’s Legal Elite for 2016. Earning her Juris Doctor degree from Barry University School of Law in 2007, Stephanie was Valedictorian of her law class. She also participated in Moot Court, and was a Note and Comment Editor for Barry University School of Law’s Law Review. A top Moot Court competitor, she argued amicus briefs before the U.S. Court of Appeals for the Armed Forces in U.S. v Long, 64 M.J. 57, September 2006. She was Barry Law School Law Student of the Year in 2007, and earned numerous Book Awards for achieving the highest grade in her class. Stephanie is admitted to the Florida Bar, and she is also admitted to practice in the federal court before the U.S. District Court for the Middle District of Florida. She is a member of the Orange County Bar Association. She also serves on the Probate Law and Procedure Committee for the Florida Bar’s Real Property, Probate and Trust Law Section. In addition, Stephanie serves on the Orange County Judicial Relations Committee. Living in the Dr. Phillips area of southwest Orlando, Stephanie and her husband Randy Cook are members of First Baptist Church of Orlando. She enjoys spending time with her husband and children, including time at the beach. Admitted to bar, 2007, Florida; 2007, U. S. District Court, Middle District of Florida. Women Lawyers. Member of the Judicial Relations committee, member of the Probate Law and Procedure Committee of the Florida Bar Real Property, Probate and Trust Law Section. Member of Dr. Phillips Rotary Club.